The Orange County Register reports that the group aggressively angling for an NFL team in Los Angeles, AEG, has talked with the Rams, Vikings, Chargers, Raiders and Jaguars about relocation. Tampa Bay fans, would you still root for the team if they left to make more money in Los Angeles or Toronto? Would you make a journey to see them in person? 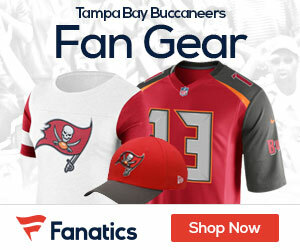 Still root for the Bucs? Are you kidding? uh-huh, and and I’ll root for my ex-wife when she divorces me, takes all we have, and gets in bed with a spoiled puke with sense of entitlement.